You certainly nailed the mood and went all-out on the gamefeel, but there's not a whole lot of substance to the game itself. I ended up looking at the attack meter for most of the time, since it didn't really matter what enemy I was up against; I'd always want a full attack. I was pretty confused by the win/lose conditions, and the little pasture image in the upper corner. Sometimes it had more/fewer goats on it? And eventually there were too many lawn mowers to beat and no grass left, and then it ended. It's pretty well-done for what it is, though. Great music! I like the graphics too. Reading your game page you've only been into game making 6 weeks so good job, this is quite a finished product you have here under 48hrs! After two play throughs I realized that the enemy was a lawn mower. I will try to answer the questions below even though this isn't my game. 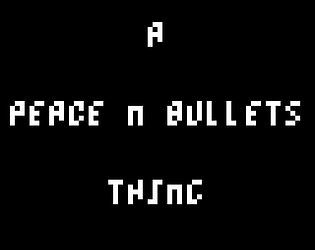 The Peace n Bullets is a splash screen and when you press enter it takes you into the game, at least it did for me. The objective is to collect grass and to kill the mowerheads that are depleting your resources. It looks like the grass that you collect is for your herd back home or something, so once the mowerheads block you from getting any grass, you and your family starve, thus game over. I quit when both upgrades were at 5 spirits each, and i forgot to look at my high score :-( oh well, it was up there. :-) Nice job man! I enjoyed playing this one. Freezes for me on the "A Peace n Bullets Thing" screen too. I really like the sprites, sounds and physics shown in the trailer. Sadly, it wouldn't start for me (just stayed on the "A Peace n Bullets Thing" screen). Thanks for making a detailed video. Looks cool - I couldn't figure out how the goat takes damage - how do you lose? Great sound and graphics - matches the theme very well! Whoa! 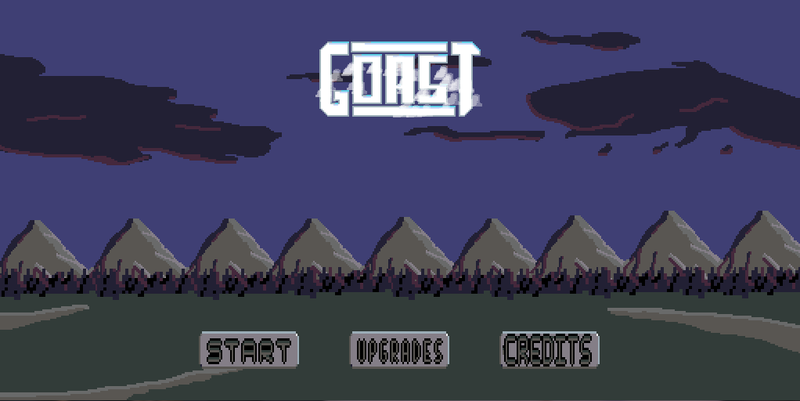 Great work on this very polished, I love those gritty pixel graphics and "Goast" is an awesome title. I had some flashbacks to racing Johnny in Chrono Trigger for some reason, but I liked it! Also, giantmuskrat is right about that menu music, some of the best I've heard. Excellent job! This is a different take on the one button game, which might make it a good fit for mobile. 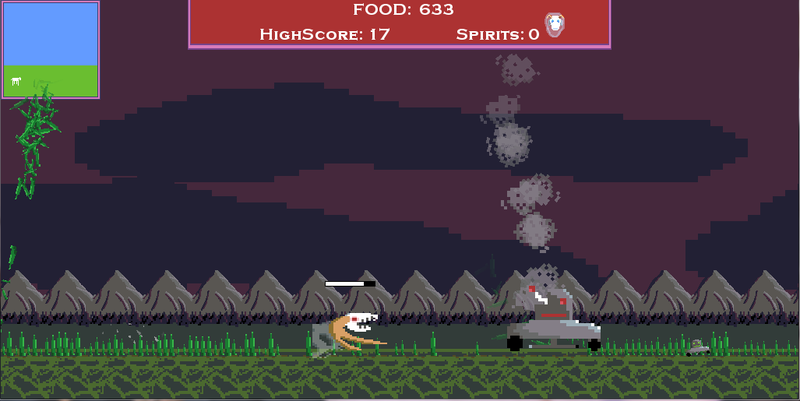 Unfortunately pixel art and mobile gaming don't mesh that well. I just left the music on in the main menu, that was really great to hear the entire song through... I recommend others do that as well. The music is super eerie and I think it fits well, I liked how the difficulty ramped up fast, and what I was doing felt intuitive.